Sometimes, home design and construction go hand in hand. If you’re stocked with concrete, consider taking advantage of the supply. Choose your home’s most accessible areas and pick a focal point. Then, check out the following concrete designs. Even if you’re not planning a long-term landscape project, you can still deck out your home for maximum appeal. Your home’s front entryway is the most accessible area, view-wise. If you want to make a statement, install custom cement steps. Then, get creative with the paint. Make sure you clean any dirt and construction debris away, trim any shrubbery, and install a design guaranteed to turn some heads. Speaking of your home’s most accessible viewing area, you should consider boosting your home’s symmetry by installing cement fixtures. No, you don’t need to get creative with large statues or complex shapes. You only need to complement your lantern-style lead-up with a few extra angles. Make sure you are coordinating with your home’s door hardware and double-check the style emitted from any urns and plant life. You can back up any low-voltage lighting installments, too. Install some cement fixtures and create an unforgettable accent. If you can’t get by with wiring-loose solutions, you might need to make some electrical edits. Cement fixtures are perfect for driveway ends, or, if you want to get creative, consider installing solar fixtures. While you’ll need to invest in some seed, plants, and other growing tools, a garden can shape up your yard splendidly. Fortunately, you can create a garden wall with cement. You may not be able to make incredibly complex designs, but basic cement fixtures can lift your favorite displays while highlighting surrounding landscapes. If you really want to get creative, focus on asymmetrical arrangements. In doing so, you can create a dynamic setting. Too many homeowners neglect the mailboxes, failing to complement their home’s most inviting feature. Dress up your mailbox and heighten your curb’s appeal. Instead of packing on the wood, consider surrounding it by a beautiful garden. You can, of course, raise the stakes by creating a cement surrounding. Or, raise the entire box. 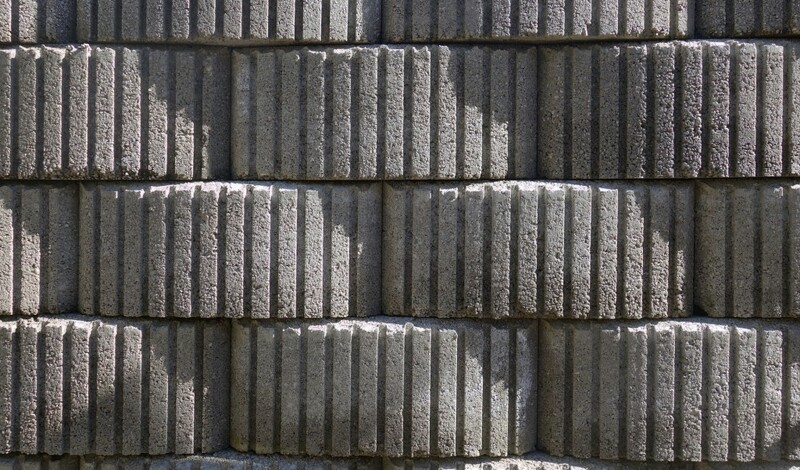 Either way, cement is your best friend when it comes to establishing a sturdy, but dynamic, mailbox area. Whether you’re sprucing up the garden, directing newcomers, or want to establish a clean entryway, laying some stepping stones helps. Cement stepping stones can be morphed into a variety of patterns, and you can use numbers, letters or shapes to express your home’s true face. If you don’t want to lay cement yourself, simply buy pre-shaped stepping stones. These stones are perfect additions to any location, and they can be used to maximize your home’s appeal with little investment. Once you’ve made the garden, impact the flower pot area by lifting up the vases. Many homeowners spruce up their vases with high-tier bases due to water problems. If you’re suffering from poor irrigation, or if you simply want a little security, consider lifting the vases a couple feet. Don’t worry: Your vases will be safe. A lot of cement bases can be attached to vases, too, so you needn’t worry about tumbling and crumbling installations. Get creative! The best part of cement designs is the sheer flexibility of them. Your home deserves your special touch, so don’t hesitate to craft new solutions to old areas. Over time, a cement-filled yard can be attractive. Make sure you’re using a delicate touch, and strategize your yard from front to back.